Edward Thompson, the son of Methodist missionaries, was born in Oxford in 1924. He studied history at Corpus Christi College, Cambridge. His studies were interrupted by the Second World War and as a member of the British Army saw action in Italy. His brother, Frank Thompson, was killed while fighting for the Bulgarian partisans. In 1948 Thompson became lecturer in history at the University of Leeds. For the next 17 years he worked as a extra mural lecturer. Later he became Reader in the Centre for the Study of Social History at the University of Warwick. 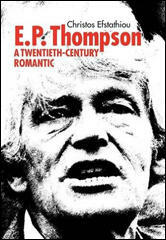 Thompson joined Eric Hobsbawm, Christopher Hill, Rodney Hilton, A. L. Morton, Raphael Samuel, George Rudé, John Saville, Dorothy Thompson, Edmund Dell, Victor Kiernan and Maurice Dobb in forming the Communist Party Historians' Group. In 1952 members of the group founded the journal, Past and Present. Over the next few years the journal pioneered the study of working-class history. John Saville later wrote: "The Historian's Group had a considerable long-term influence upon most of its members. It was an interesting moment in time, this coming together of such a lively assembly of young intellectuals, and their influence upon the analysis of certain periods and subjects of British history was to be far-reaching." Disillusioned by the events in the Soviet Union and the invasion of Hungary, Thompson, like many Marxist historians, left the Communist Party in 1956. Later he became active in the Labour Party. In 1957 Thompson helped form the Campaign for Nuclear Disarmament (CND). Other members included J. B. Priestley, Bertrand Russell, Fenner Brockway, Frank Allaun, Donald Soper, Vera Brittain, Sydney Silverman, James Cameron, Jennie Lee, Victor Gollancz, Konni Zilliacus, Richard Acland, A. J. P. Taylor, Canon John Collins and Michael Foot. 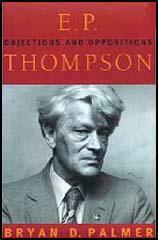 Thompson wrote William Morris, Romantic to Revolutionary (1955) and The Making of the English Working Class (1963). In protest against the "tailoring of Warwick University to the needs of industry" Thompson resigned his post in 1971. Thompson spent the next few years as a roving ambassador for world peace. He also wrote a series of books including Whigs and Hunters (1975), The Poverty of Theory (1978), Writing by Candlelight (1980), Protest and Survive (1980),Customs in Common (1992), Witness Against the Beast (1994) and Making History: Writings on History and Culture (1994). Edward Thompson died in 1993. By John Simkin (john@spartacus-educational.com) © September 1997 (updated January 2016). I am seeking to rescue the poor stockinger, the Luddite cropper, the 'obsolete' hand-loom weaver, the 'Utopian' artisan, and even the deluded follower of Joanna Southcott, from the enormous condescension of posterity. Their crafts and traditions may have been dying. Their hostility to the new industrialism may have been backward-looking. Their communitarian ideals may have been fantasies. Their insurrectionary conspiracies may have been foolhardy. But they lived through these times of acute social disturbance, and we did not. Their aspirations were valid in terms of their own experience; and, if they were casualties of history, they remain, condemned in their own lives, as casualties. Our only criterion of judgement should not be whether or not a man's actions are justified in the light of subsequent evolution. After all, we are not at the end of social evolution ourselves. In some of the lost causes of the people of the Industrial Revolution we may discover insights into social evils which we have yet to cure. Moreover, the greater part of the world today is still undergoing problems of industrialization, and of the formation of democratic institutions, analogous in many ways to our own experience during the Industrial Revolution. Causes which were lost in England might, in Asia or Africa, yet be won. When student unrest erupts at a British university, two standard reactions can be expected. The first assumes that the students are alone responsible, and leads on to speculations as to their motives. The second assumes that responsibility may be charged to old-fashioned elements in the university administration and among senior academic staff, who have responded too slowly or too clumsily to legitimate student demands. There is, however, a third explanatory hypothesis, which most observers would overlook as being too improbable. This is the explanation that dominant elements in the administration of a university had become so intimately enmeshed with the upper reaches of consumer capitalist society that they are actively twisting the purposes and procedures of the university away from those normally accepted in British universities, and thus threatening its integrity as a self-governing academic institution; and that the students, feeling neglected and manipulated in this context, and feeling also - although at first less clearly - that intellectual values are at stake, should be impelled to action. Anyone who is even casually informed knows that Marxism, as an intellectual system, is in a state of crisis. The term 'Marxism' conceals an immense conflict going on between different claimants to the Marxist tradition. In Russia dissidents like Roy Medvedev are offering, in Marxist terms, scholarly exposures of the Stalin era - analyses which are refused publication by Soviet (Marxist-Leninist) publishing houses. In East Germany Rudolf Bahro, a Marxist, is imprisoned by a Marxist state for his stubborn and honest thought. If we move from intellectual to political and social movements, the conflict is even more obvious. In Africa the most disparate regimes, from old-fashioned military tyrannies to more open societies with real democratic potential, all invoke the word 'Marxist'. As a Marxist (or a Marxist-fragment) in the Labour Party, I have always tried to envisage a politics that will enable us, in this country, to effect a transition to a socialist society - and a society a great deal more democratic, in work as well as in government, than our present one - without rupturing the humane and tolerant disposition for which our working class has often been distinguished, in this country, if not abroad. I am very much against sin, and especially against Russian sin. When the Russian state does not give me a pain in the head, it strikes my lower anatomy. Now that my moral credentials are plain to the whole world, let us discuss serious matters. These concern Cold War chain-reactions, the nuclear fission of diplomacy. The sequence has been this. From last October there was a long run-up to NATO's decision to 'modernize' its nuclear armoury. Mrs Thatcher and Mr Pym were the self-appointed cheerleaders of this operation, although they disdained to consult the British Parliament at any point. A 'new generation' of nuclear missiles, under US ownership and control, was to be planted all over West Europe, many on our own soil. Soviet spokesmen repeatedly warned of the consequences of this decision; proposed discussions; and even made small gestures of concession. NATO spokesmen refused every advance and argued that discussion could only take place 'from strength': that is, from a posture of menace, after the decision. The decision made nonsense of the trivial provisions of Salt 2. But it became clear, meanwhile, that the US Senate was not going to ratify even these trivial provisions, thereby indicating that top level nuclear détente would prove futile in the face of the American military and arms lobby. As this became clear, a trickle of Soviet dissidents went off to gaol. Soviet decision to enter Afghanistan was taken. The hawkism of the West directly generated the hawkism of the East - according to one account, Brezhnev was actually overruled by his own hawks. On the Cold War billiard-table, NATO played the Cruise missile ball, which struck the Afghan black, which rolled nicely into a Russian pocket. It was as if Mrs Thatcher, Mr Pym and Mr Bill Rodgers were there, perched on the leading Soviet tanks, waving to the astonished people of Kabul. The articles, letters and memos poured from his desk in the sackful. At any moment, he might be found exhorting the masses in Trafalgar Square to `feel their strength' or manning the bookstall at the END bazaar; playing percussion in a fund-raising concert or haggling at the Czech embassy over the suppression of the Jazz Group; dialoguing with Charta 77 or marching at the head of an anti-NATO rally in Madrid; exposing the grotesqueries of the SDI programme or railing against the skullduggery of the Soviet Peace Committee. That the CIA and the KGB would both accuse each other of funding these activities only served to reaffirm the wisdom of pressing for a process of `citizens' detente' and for the adoption of a non-aligned position within the Western peace movement. This was to prove of critical importance, both in the impact it had on the politics and strategies of the latter, and in the space it opened up for trans-bloc dialogue between it and the independent peace initiatives and dissident groups in Eastern Europe. This was no easy dialogue to sustain, demanding as it did a keen sensitivity to differences of political priority and to the divergent conditions under which the various peace groups in both halves of Europe were at that time working. The story of its ideological complexities is yet to be told. But when it is, it will be clear that without Thompson's sense of historical eventuation and his punctilious concern for the individuals involved in the process, certain lines of East-West communication which contributed to the dramatic changes of the late eighties would not have been opened up.